If you are the parent of a person with a learning disability, it is quite normal to spend a proportion of your time feeling overwhelmed and isolated. Accepting your role and taking on such a burden is often seen as the path of least resistance. However, when parents of people with a learning disability try to "go it alone," they risk their own physical and mental health. They may even put their own families at risk by refusing to seek out support. You may be lucky enough to live where local authorities provide support to families with a learning-disabled adult. One of the most valuable support services offered is respite care, which allows parents to step away from their responsibilities for a short period of time each week. Unfortunately, areas still exist throughout Britain where local authorities do not even know how many people in their area have a learning disability and have not determined what sort of help they and their carers need. Local authorities that have implemented systems of support for parents of people with a learning disability offer different kinds of help. They may be able to arrange for someone to help with care or install special equipment or adaptations in your home. Regular meals and activities at a day centre are other ways that local authorities can help. 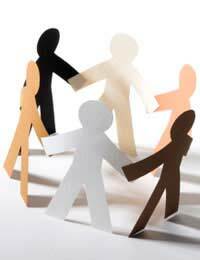 There are also voluntary organisations that facilitate the creation of local support groups. Sometimes your circumstances don't allow regular participation in support groups. You may be located in a remote location or your schedule makes regular attendance at gatherings difficult. Increasing, parents are finding and joining online support groups where they can share their frustrations, trade stories of success and provide emotional support to each other. Connecting with others in online communities helps you to find other families that are in similar situations and who understand the challenges you face. Online support groups are flexible - you can access them from a variety of locations any time of the day or night. You aren't pressured to respond within a certain time frame. You may choose to not respond at all. If you care for a learning-disabled person, you may be eligible for a taxable benefit known as a Carer's Allowance. You are not required to be related to the person for whom you're caring, or even live with them, to receive the benefit. Carers aged 16 or over are eligible for the allowance if they spend at least 35 hours each week caring for a qualified disabled person. Don't expect to get rich on the carer's allowance. Currently, the maximum benefit is £50.55 per week. If you are a full-time student or make more than a certain amount per week, you won't be eligible. The benefit may be reduced by other taxes. A feeling of isolation is the most frequently cited complaint by carers. It is a feeling bred from exhaustion and depression. When it is not dealt with, feelings of isolation can actually impair physical and mental health and well-being. When parents of people with a learning disability are able to meet one another in the context of a support group, they realize that they have many things in common. For many, understanding is even more essential than respite. I don't have a comment, just a question: I am a manager of a residential care home for adults with LD. I am supporting a man that has a penchant for turning all of his taps in his apartment on overnight and flooding. Has anyone come across some kind of guard that can go on the taps to prevent this. Obviously he has to have access to water overnight - but ALL of the taps pouring water at the same time is becoming a real issue with his environment as you can imagine. I would rather have one tap flooding rather than several!! !